Happy New Year!  There are many exciting changes coming to Michael David Photography this year. I cannot wait to share them with you on the blog soon. These positive changes will help me stay relevant, reach new goals and help me connect more with my incredible clients. I have been so blessed by the amazing couples, vendors and wedding industry professionals that I have worked with in 2016. I am excited to work with even more amazing couples in the New Year. One of my goals is to blog more regularly. I will mostly be posting about photography, but sometimes I will be posting about my thoughts, views or interesting things happening in my life. I want you to be part of this blog and get a sense of who I am and what I stand for. So, please join me on this crazy adventure of reaching new goals and making big changes in 2017. Kathleen Crudele - My daughter Bethany was married on August 12, 2016 at Linden Place. Her photos were absolutely amazing! I don't think Michael stopped for one minute. Every single photo was amazing and not to mention the engagement shoot. Thank you so much for making Bethany and John's wedding so special! Kathy and Ron Crudele - The best photographer, cannot get any better!